Access All Areas have a great new collection of botanical sketches to download today, courtesy of Tom Chalky. 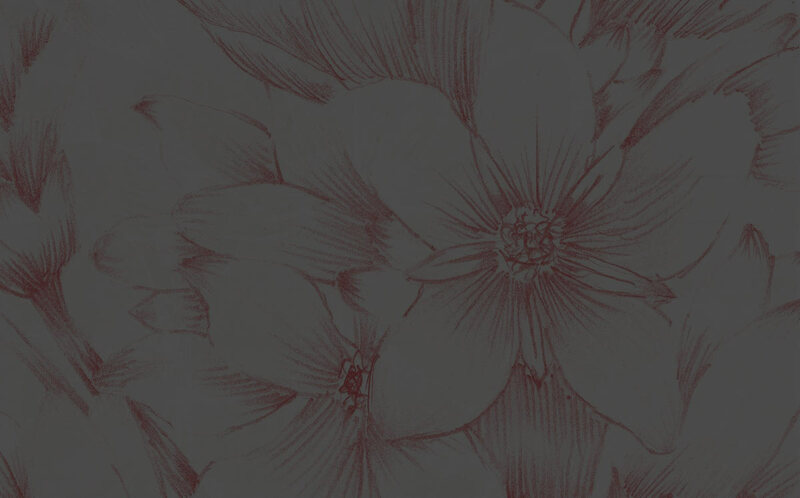 These 20 flower and plant illustrations have been carefully hand drawn and entirely isolated from their backgrounds to produce high quality PNG images. Alongside the 20 beautifully handcrafted botantical illustrations and a bonus set of 5 handpainted watercolour flowers. All files average at around 3500x7500px in size with a high resolution of 300ppi, making them perfect for use in all kinds of print and digital design projects. Tom Chalky is a passionate hand letterer who loves creating hand written / hand drawn fonts. His store is full of stunning typefaces, ranging from elegant scripts to strong slab serifs, as well as a variety of texture and illustration packs. Check out the All Access Pass for full access to his entire library of creative resources without restriction. Best of all, every future release will be ready and waiting for you. 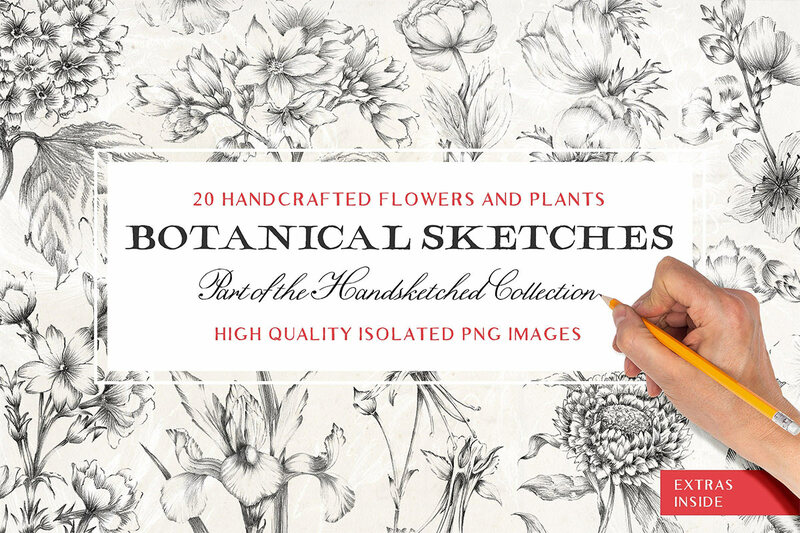 This set of Botanical Illustrations contains 20 detailed flower and plant sketches, plus 5 bonus watercolour flower graphics. All files come as PNG images, making them widely compatible with all design software. Transparent backgrounds allow you to easily layer the graphics within your artwork, or stack the same image on top of itself to increase contrast. I LOVE what Tom Chalky does with vintage! He is single-handed-ly bringing back all those lovely designs! These are beautiful! Thanks to the both of you, Chris! These are really beautiful. Thanks! You come up with the coolest shares….. Awesome collection of botanical sketches! This is perfect for design event invitation and creating website that needs feminine touch.